SYDNEY — A 93-year-old World War II veteran from the United States embraced his wartime girlfriend in Australia in their reunion Wednesday after more than 70 years apart. Norwood Thomas and 88-year-old Joyce Morris laughed as they wrapped their arms around each other after Thomas flew from Virginia to the southern Australian city of Adelaide to reconnect with his long-lost love. "This is about the most wonderful thing that could have happened to me," Thomas said, in a reunion broadcast on Channel 10's "The Project." "Good," Morris replied with a laugh. "We're going to have a wonderful fortnight." Morris was a 17-year-old British girl and Thomas was a 21-year-old paratrooper when they first met in London shortly before D-Day. After the war, he returned to the U.S. The pair wrote letters to each other, and Thomas asked Morris to come to the U.S. to marry him. But somehow Morris misunderstood and thought he'd found someone else, so she stopped writing. 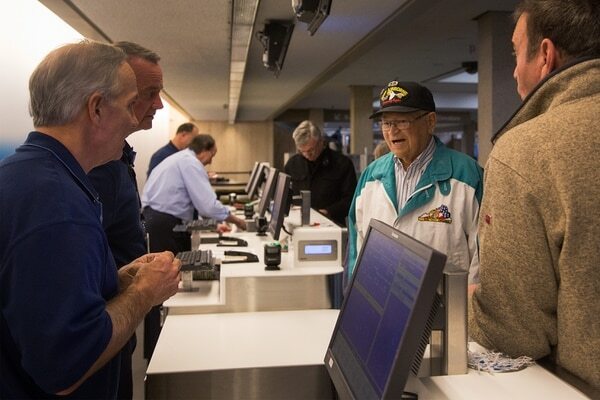 In this Feb. 7, photo, Norwood Thomas, a 93-year-old World War II veteran, answers a question of airline employees about his military service before flying to Australia at the airport in Norfolk, Va. The two eventually married other people. Thomas' wife died in 2001; Morris divorced her husband after 30 years. 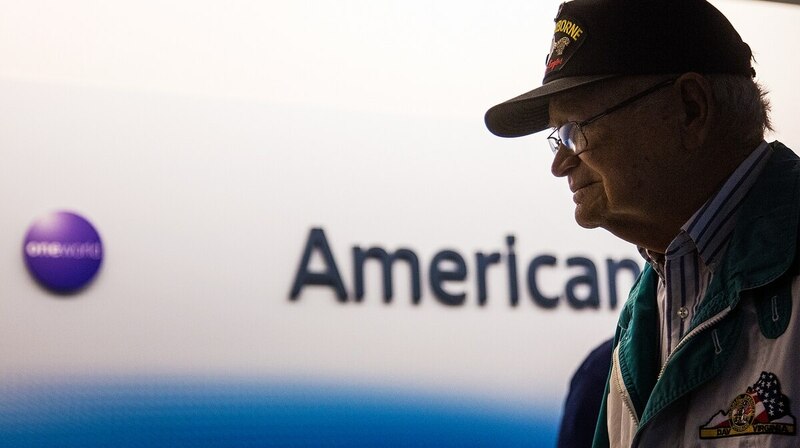 Last year, Morris asked one of her sons to look for Thomas online, and they found his name featured in an article about D-Day that ran in The Virginian-Pilot newspaper. Thomas and Morris reconnected via Skype. After their story went public, hundreds of people made donations to help fund Thomas' trip to Australia from his hometown in Virginia Beach. The two are planning to spend Valentine's Day together.